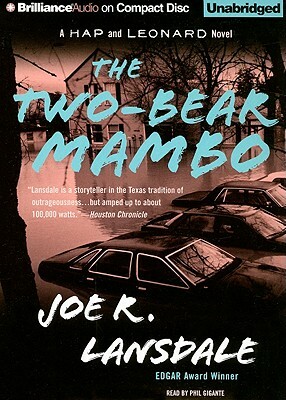 Full of savage humor, heart-stopping suspense, and a cast of characters so tough they could chew the bumper off a pickup truck, The Two Bear Mambo is classic country noir. In this rollicking, rollercoaster ride of a novel, Hap Collins and Leonard Pine take a break from their day jobs to search for Florida Grange, Leonard's drop-dead gorgeous lawyer and Hap's former lover, who has vanished in the Klan-infested East Texas town of Grovetown. Before she disappeared, Florida was digging up some dirt behind the mysterious jailhouse death of a legendary bluesman's son, who was in possession of some priceless merchandise. To Hap and Leonard, something don't smell right. With murder on their minds, Hap and Leonard set out to investigate as only they know how...chaotically. "Lansdale has a zest for storytelling and a gimlet eye for detail." - Entertainment Weekly "Lansdale's prose, both laconic and sarcastic, is so thick with slang and regional accent that it's as tasty as a well-cured piece of beef jerky. Readers will want to savor each bite." - Milwaukee Journal Sentinel.